We must sacrifice to our last drop of blood to save our country. 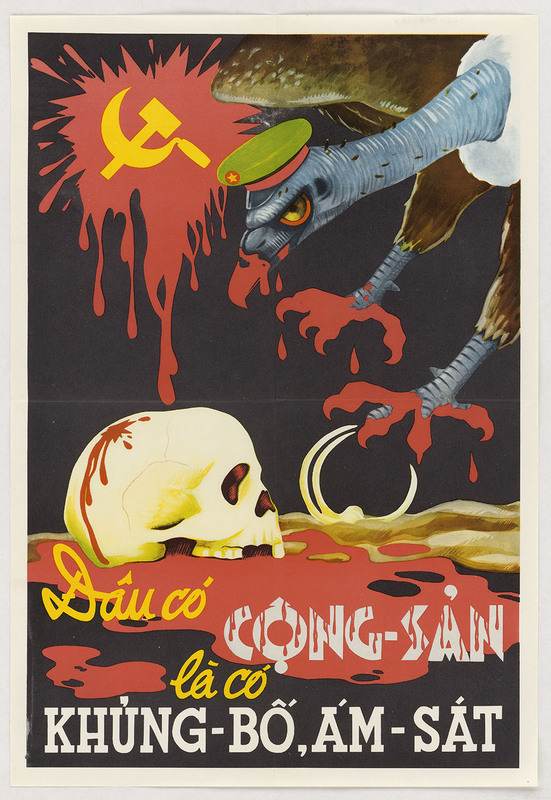 But when France went to war to recolonize Vietnam in 1945, the U.S. government needed its ally’s cooperation to contain the spread of communism in Europe. 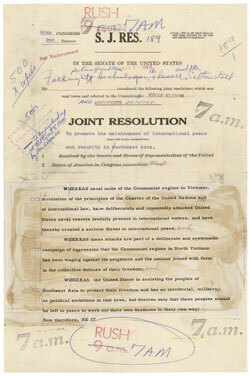 From 1946 to 1950, it adopted a neutral policy toward the conflict. 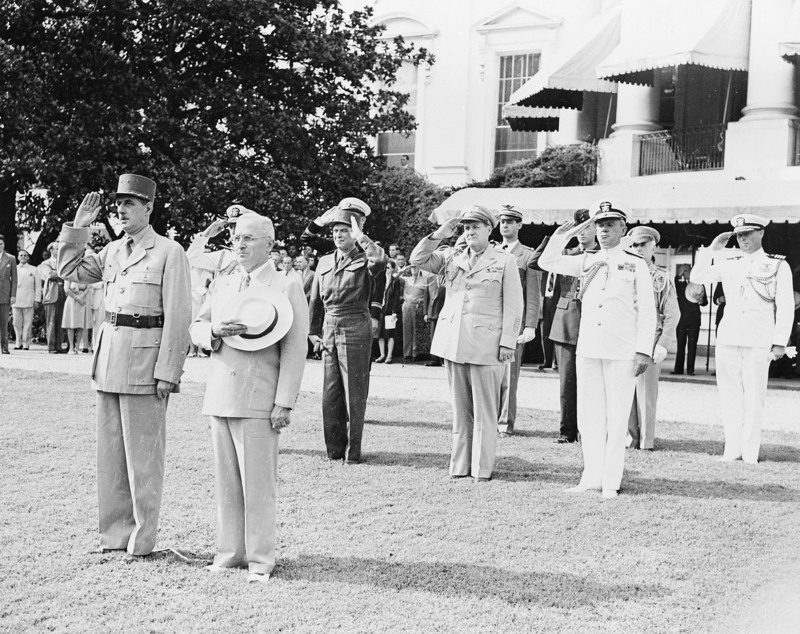 In 1950 President Harry S. Truman authorized direct financial and military assistance to the French. President Truman was not the first American official Ho Chi Minh attempted to befriend, nor was the United States the first nation he approached. He first tried to enlist U.S. support in 1919 at the Paris Peace Conference. He sent an appeal to Soviet Premier Josef Stalin in 1945-46 very similar to the one he sent to Truman. He had long known his small country would need allies to win independence from the French. Ho Chi Minh made his only successful connection with American officials after he helped a downed U.S. pilot reach safety during World War II. The Office of Strategic Services (OSS) enlisted “Old Man Ho” to broadcast radio reports on weather and Japanese troop movements to U.S. intelligence operatives stationed in China. Later, his Viet Minh guerrillas joined forces with an OSS team. Ho’s bright eyes and calm geniality made a powerful impression on the officers. But in the years to come, many Americans would associate his wispy beard and peasant attire with something sinister. 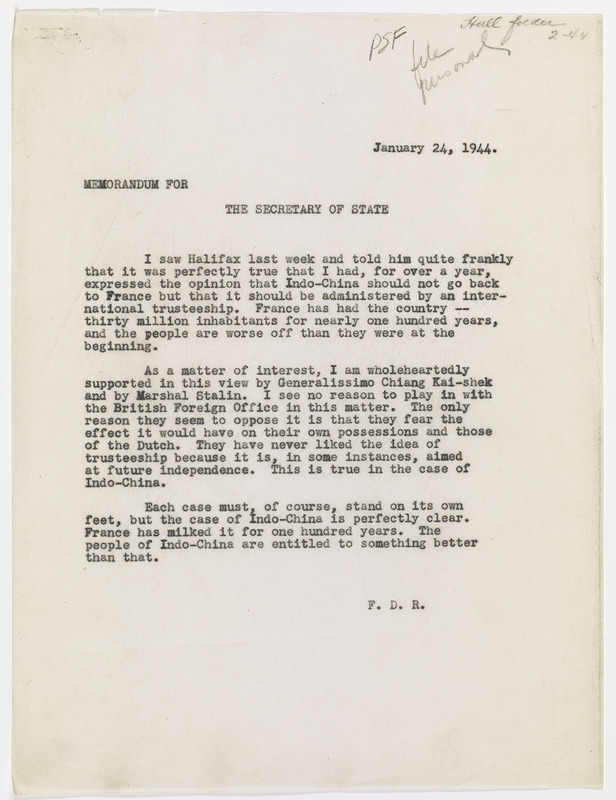 President Franklin D. Roosevelt expressed his opposition to continued French rule of Vietnam in this memo. 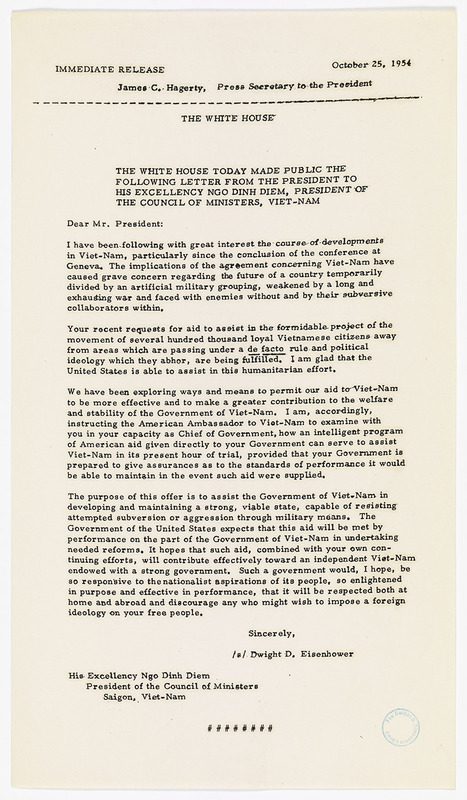 Ho Chi Minh sent several letters like this one to President Harry S. Truman asking for the Viet Minh to be involved in any Allied discussion regarding Vietnam’s postwar status. Truman did not reply. The possible consequences of the loss [of Vietnam] are just incalculable to the free world. After the French defeat at Dien Bien Phu, the 1954 Geneva Accords called for a temporary partition of Vietnam at the 17th Parallel—creating a Communist state in the North and a French-backed non-Communist state in the South. The agreement called for an election to reunify the two zones in 1956. Eisenhower believed “losing” South Vietnam to communism would be a strategic, economic, and humanitarian disaster. So he pledged support to an emerging leader—Ngo Dinh Diem—a devout Catholic and fervent anti-French, anti-Communist nationalist. Diem faced multiple threats: some members of his inherited government and military were associated with the hated French; mobsters controlled much of Saigon; and French-supported armed religious sects and military officers challenged his leadership. Against all odds, Diem consolidated power. The “Diem Miracle” would prove to be short-lived, but Eisenhower’s decision to support him set the United States on a course that continued for another 20 years. 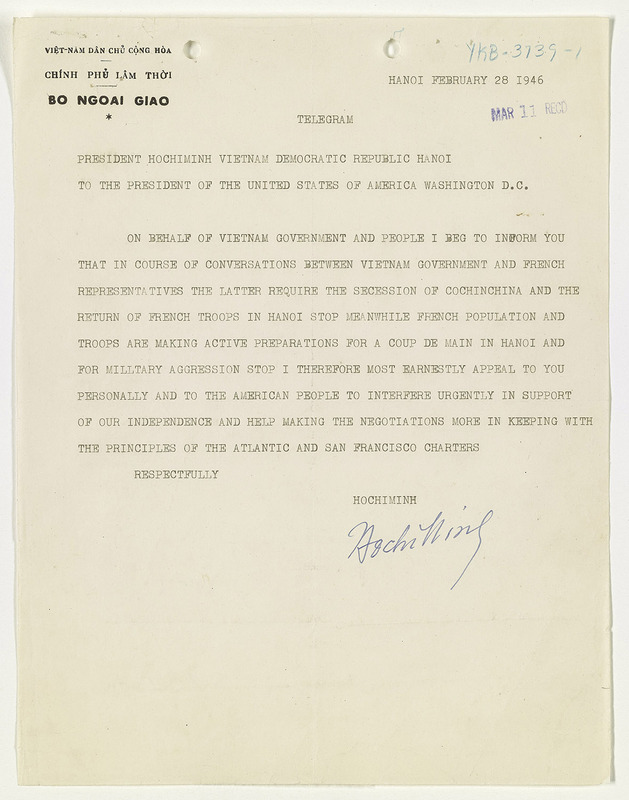 In this letter, President Dwight D. Eisenhower offered South Vietnamese President Ngo Dinh Diem financial support and encouraged him to make “needed reforms” to broaden his government and make it more representative. 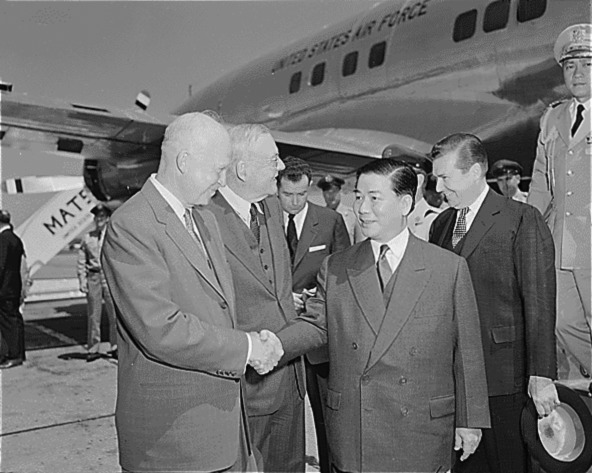 South Vietnamese President Diem received a rare honor when he arrived in Washington, DC, for a state visit—President Eisenhower personally greeted him at the airport. 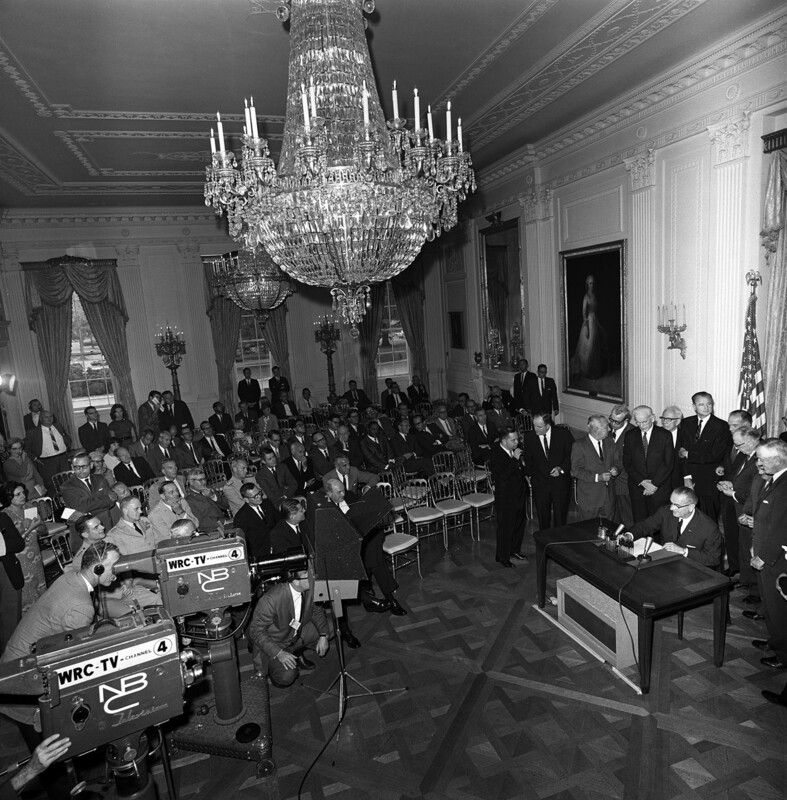 Kennedy invests in a military solution to a political question: What type of government will rule a united Vietnam? Now we have a problem in making our power credible and Vietnam is the place. After the Bay of Pigs defeat in Cuba and the erection of the Berlin Wall, President Kennedy needed a win. “Vietnam is the place,” he told a reporter, convinced the U.S. could restore its Cold War credibility by saving the remote Southeast Asia country from communism. 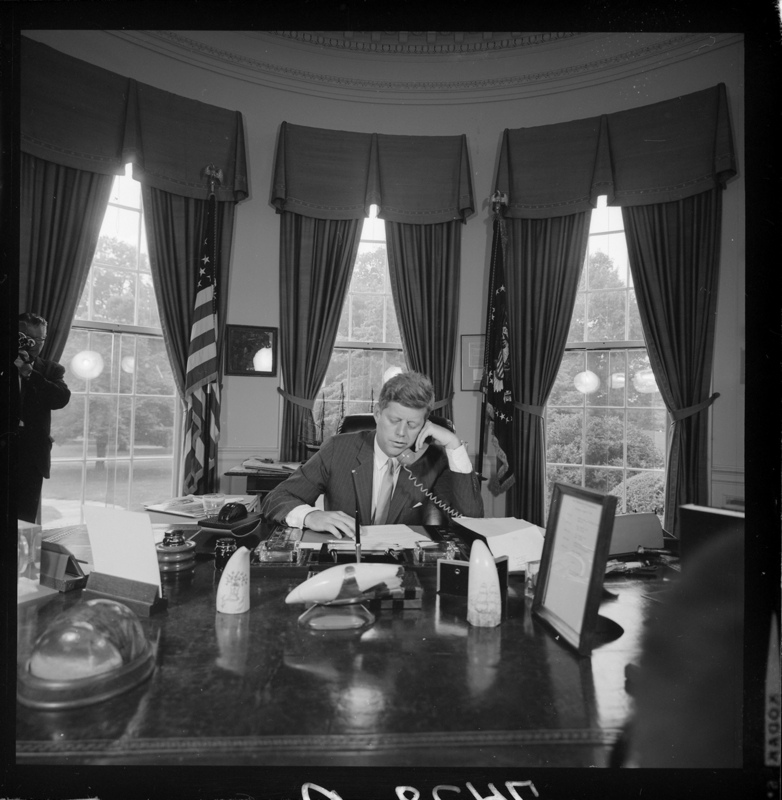 Kennedy supplied thousands of additional military advisers and equipment to South Vietnam to fight the Communist insurgency. He resisted sending ground troops, against his advisers’ persistent urging. For a time, American assistance appeared to help stabilize South Vietnam—but in 1963 tensions between the Diem regime and its U.S. ally and resistance from the population escalated to a tragic and bloody climax. The flood of American resources appeared to buoy South Vietnam. But in January 1963 a few hundred “Viet Cong” guerrillas repelled the assault of 2,500 American-equipped South Vietnamese infantrymen in the Battle of Ap Bac. The American press portrayed it as evidence that the South Vietnamese military was incompetent and that President Diem was to blame. That spring, newspaper images of monks burning themselves in protest against the Diem regime stunned observers around the world. The violence and unrest in Saigon raised blood pressures in Washington. Meanwhile, Diem ignored the Kennedy administration’s increasingly adamant calls for reform. The Diem experiment came to a bloody end when he and his brother were assassinated on November 23 in the back of an armored personnel carrier. Soon after the deadly midnight attacks on Buddhist pagodas, Ambassador Henry Cabot Lodge received this cable. It authorized him to green light a plot to overthrow President Diem. 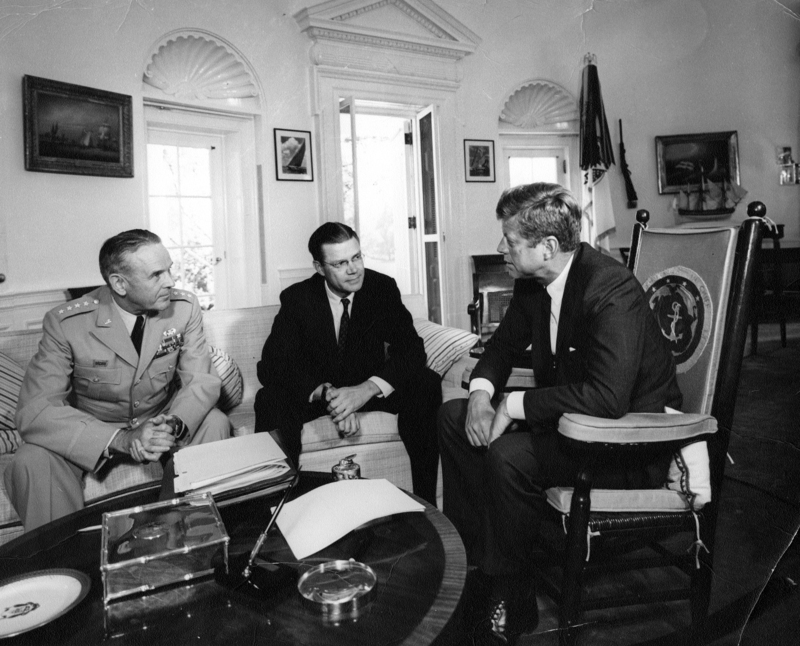 President Kennedy (in rocking chair) meets with Secretary of Defense Robert S. McNamara and Chairman of the Joint Chiefs of Staff General Maxwell D. Taylor (far left). 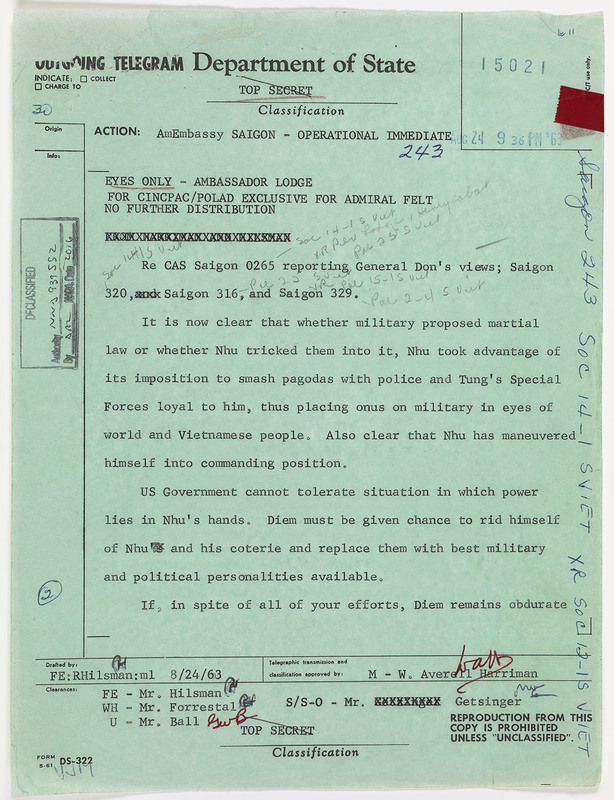 President Kennedy recorded this dictation three days after the coup that resulted in the murder of President Diem and his brother. We still seek no wider war.